The six finalists for the Bears’ Lair entrepreneurial competition were announced on Tuesday night (March 26) at the semi-finalist showcase at The Venue in downtown Peterborough. During the showcase event, 24 semi-finalists in two categories (innovation-based businesses and businesses with a focus on goods and services) displayed information about their businesses and how they operate. 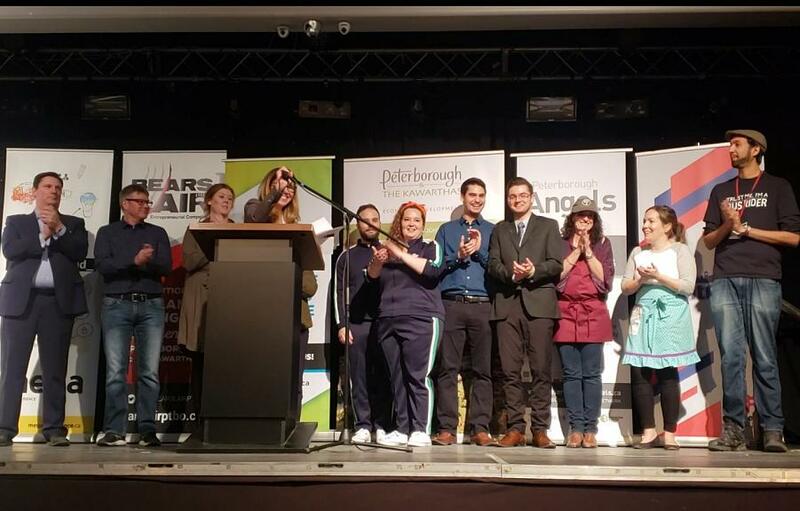 The Bears’ Lair committee judges, along with judges from the local business community, selected six finalists (three in each category) during the showcase. As the end of the event, the six finalists were announced. Transit One – Husayn Dharshi founded Transit One to promote public transit by providing bus information to riders and by connecting businesses and organizations with transit riders. AVROD – Trent University student Jeremy Brooks created the Archaeological Virtual Reality Online Database (AVROD) to advance the way archaeologists work and learn, for which he won the 2018 Cubs’ Lair entrepreneurial competition. Alexander Optical – Dylan Trepanier created Alexander Optical to organize pop-up clinics with eye care professionals on site to perform comprehensive eye exams, to find eye wear solutions, and to provide an option for people to finance their eye care, for which he won the 2019 Slingshot program pitch challenge. Electric Juice Factory – Based in Port Hope with a retail location in downtown Peterborough, Cheryl Gould and Will Harvey founded Electric Juice Factory to manufacture organic, raw, cold-pressed juices and “super food” smoothies. Emily Mae’s Cookies & Sweets – In her home-based business, owner Jen Wight specializes in creating unique decorated and personalized sugar cookies. PedalBoro – Hillary Flood and Pete Rellinger founded this multi-passenger bike tour company to provide an eco-friendly transportation alternative for exploring pubs and restaurants in downtown Peterborough. 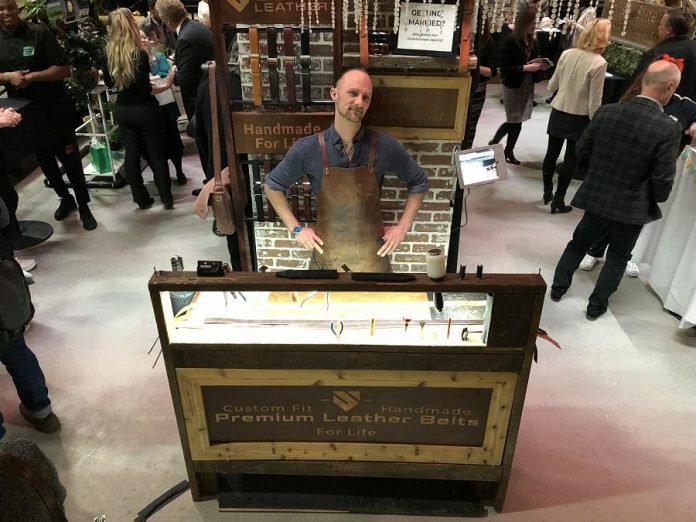 The other Goods and Services semi-finalists were Uff Eats, Zumbini with Amber, PtboDTS, Farmhill Wedding and Events, KEG for KCBF, Three Sisters, Direct Visual Care, You’re Welcome, Mink Magic Beauty Bar, Solid Leather, Refreshingly New, Tiny Greens, and Rasa Ayurveda. The other Innovation semi-finalists were Netmechanics, Biosphere GPS, Devout Fitness, GWF, and Foreign Language 4 Life. The six finalists will now prepare to pitch their businesses to a panel of judges on Tuesday, April 30th at The Venue, where they will compete for thousands of dollars in cash and business support services. Two winners will be chosen, one in each category. The event is open to the public.